Measurement of Arterial Stiffness for the Diagnosis and Prevention of Cardiovascular Risks. We propose an accurate method of measuring the elasticity of the 3-dimensional arterial wall. For this purpose, we determine a hyper-elastic behavior law by the non-invasive measurements of deformation of the carotid arterial wall (Patent FR2853519, P.I.C.B. No. 480131). Recent experiments show that errors committed by conventional one-dimensional methods have been 89% since 1999 (Incremental Stiffness, Young Elasticity, Young Elastic Modulus, Peterson Elastic Modulus), 70% Pulse Wave Velocity since 1994 or recently Index β 64% since 2016. 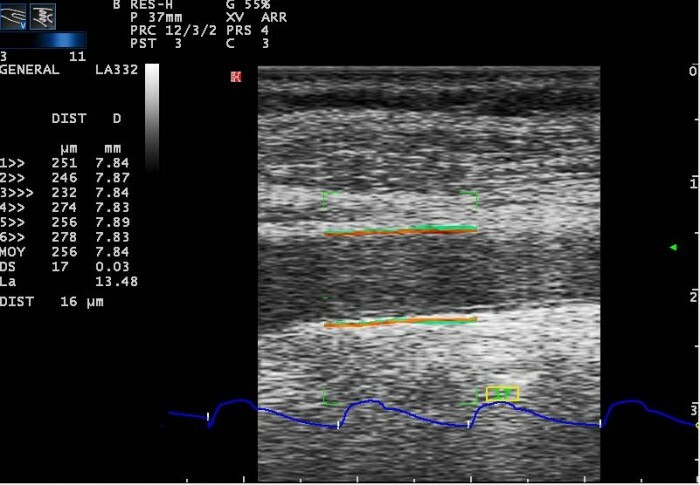 Any ultrasound scanner measuring the deformation of the arterial wall can be equipped with Elastery software to automatically determine the arterial elasticity as a function of the deformation of the wall and the blood pressures. The market concerns ultrasound scanners, clinical investigation centers, hospitals, cardiovascular research centers, patient follow-up (hypertension, diabetes, smoker, overweight, cholesterol, ageing) or epidemiological study. The pairs of stored values allow us to calculate the elasticity of the arteries using the Elastery software. It is envisaged to use an USB key with as data the pairs of values of thickness (mm) and diameter (mm), as well as blood pressures (mmHg). 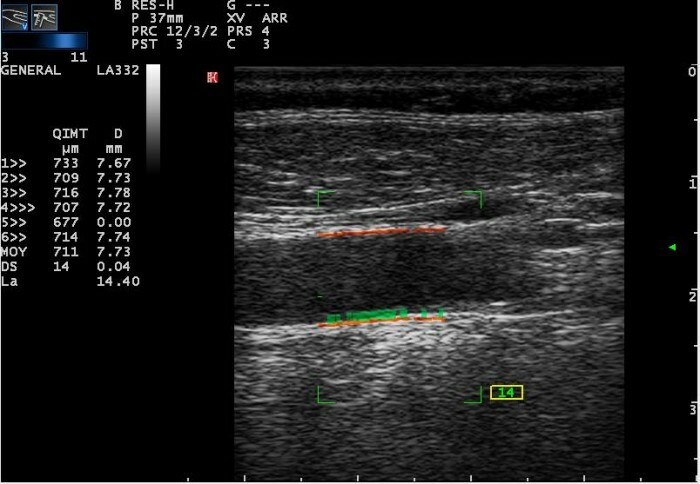 Of course, we will negotiate with an ultrasound scanner manufacturer so that this software can be part of an Arterial Stiffness option. 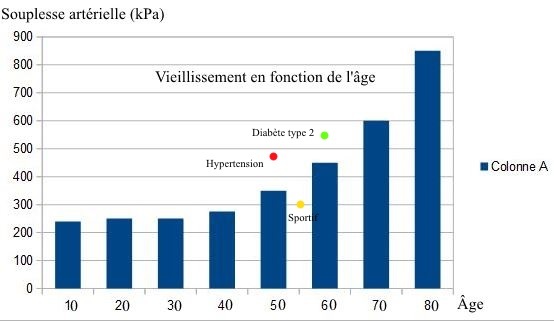 For the first time we can determine arterial elasticity which is considered as important parameter for detecting and following generally cardiovascular risk factors (hypertension, diabetes, smoker, obesity, ageing) or in particular athletes. The precision of our calculation will allow us to plot the survival curve. The patent rights will be sold because I as the inventor am not interested in handling the commercial side of the project. I can offer a venture start up company that could fund the patent and business development, but with my background as a Biomecanicien. The international rights is preseved by Registre canadien des droits d'auteur n° 480131. Page created at 2019-04-25 4:04:14, Patent Auction Time.